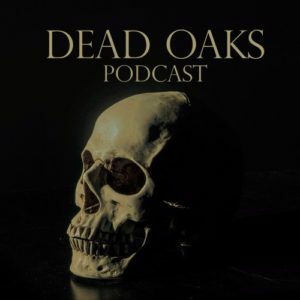 I’m pleased to announce that my creepy horror story, Immersion Therapy, is now available on the Dead Oaks Podcast and they’ve done a phenomenal job. This is the first audio version of one of my stories, and I’m really impressed with how much care and attention when into producing it. Edward Whalen’s narration was excellent and the music (Creepy,” written and performed by Nicholas Critney and “Haunted,” courtesy of Purple-Planet) was perfect for this particular story. A HUGE thank you to Christopher Waltz and the rest of the Dead Oaks team for first accepting the story and then doing such a fantastic job on the audio. Draw the curtains, turn off the lights and give it a listen. My new series, Serial Killer Z, launches at the beginning of October but you can get a head start on Marcus Black’s story. I’m giving away a free prequel novella that tells the story of how the zombie apocalypse started, and Marcus’ part in it. 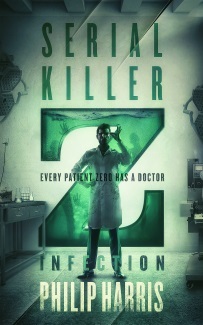 It’s called Serial Killer Z : Infection, and all you need to do to get it is sign up for my newsletter here. As well as the prequel, you’ll get four other free books, plus a copy of my new short story collection when it’s released later this year. If you’re already on my mailing list, check your inbox because I’ve already sent you a copy of Infection.